The names might seem similar, but you don't want to mix up these two finishes. Polycrylic and polyurethane each suit different needs for your projects. Don’t let their names confuse you: Though polycrylic and polyurethane may sit on the same shelf at the store, they aren’t one and the same. Sure, these two sealers will both save wood from damage by moisture, heat, and heavy use, but they have some key differences. For starters, polyurethane comes in oil and water-based forms. Oil-based polyurethane is the most durable top coat you can apply, perfect for sealing wooden floors and furniture that gets a lot of use. It holds up better to heat and water, too. Meanwhile, its water-based counterpart contains fewer volatile organic compounds and dries more quickly. 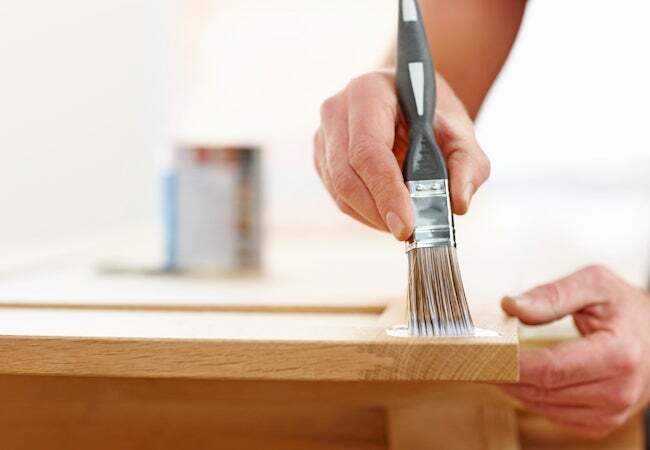 Because ​all ​polyurethane tends to cure with a yellowish tint, you may want to use polycrylic on lighter wood tones. Polycrylic only comes as a water-based sealer, and it’s the least toxic and easiest of the bunch to clean up. Also the thinnest option, polycrylic is prone to drips and drying out very quickly—sometimes while you’re still working!